Autism is a term used to describe a group of developmental problems. Autism Speaks reports that about one in every 110 kids is diagnosed with a disorder on the autism spectrum – a number that could be increasing by up to 17 percent annually. While the condition has no known cause, some authorities in autism research believe diet may play a role in treatment, according to the Interactive Autism Network. Eliminating caffeine, as part of an overall restricted diet, may improve functioning. Caffeine is a psychoactive stimulant drug that reduces fatigue and increases alertness. According to PsychCentral, the chemical can help improve memory and concentration, but may also worsen anxiety and interfere with sleep. 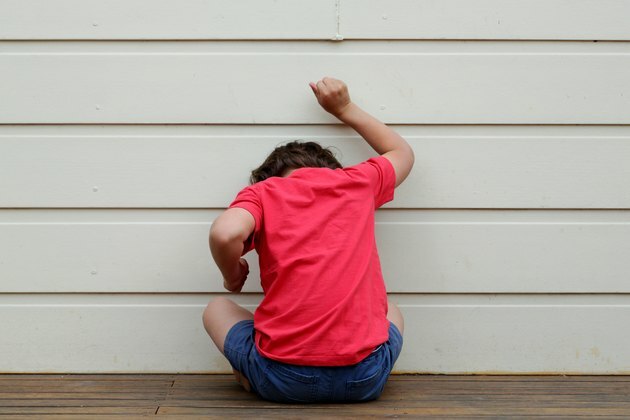 Abnormal fears and increased anxiety are common in autistic patients and are likely a result of a dysfunctioning amygdala, according to a 2002 study published as part of the Novartis Foundation Symposium's report on autism treatment possibilities. The amygdala is a part of the brain that plays a key role in emotions. Many children with autism do not respond well to stimulants. These drugs tend to bring out disruptive behaviors and tics. The National Autistic Society reports that an increasing number of children with autism are diagnosed with ADHD, or attention deficit hyperactivity disorder, as well. Certain components of an ordinary diet, such as caffeine, have been implicated as over-stimulating for some children with these co-occurring syndromes. The NAS suggests switching to decaffeinated tea, coffee and cola and substitute carob for cocoa. There's a significant overlap in symptoms between Asperger's syndrome and ADHD, according to Daniel Rosenn, M.D., member of the Asperger's Association of New England. In a 2011 article about these conditions, Rosenn writes that the overlap results in about 60 to 70 percent of children with Asperger's exhibiting characteristics compatible with ADHD. PsychCentral reports that caffeine has been analyzed as a potential treatment for ADHD but found to be less effective compared to other stimulants. Anecdotal evidence reported by Jane Collingwood indicates that ADHD patients are already self-medicating with caffeine, finding that it has a calming effect. To date, there's little research to indicate that caffeine plays a significant role in autism treatment. At best, reducing caffeine intake could lessen anxiety and hyperactivity. To find out if caffeine has an impact on a patient with autism, experts suggest an elimination diet, which systematically eliminates foods that could trigger unwanted behaviors prior to gradually reintroducing each food one at a time to see if the patient has a reaction. "Several lines of investigation have shown that the chemistry and function of both the developing and the mature brain are influenced by diet," writes J.D. Fernstrom of the University of Pittsburgh School of Medicine in the June 2000 issue of the "American Journal of Clinical Nutrition." Asperger's Association of New England; Is it Asperger's or ADHD? ; Daniel Rosenn, M.D. Can Milk Affect Behavior in Boys?